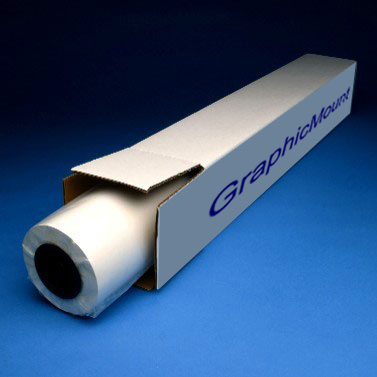 GM07 — Graphic Art Supply, Inc.
GraphicMount™ ULTRA photo mounting adhesive is a clear, archival mounting adhesive with a permanent, ultra high-tack adhesive on both sides. The moisture stable liner and solvent acrylic adhesive will ensure the ﬁnished product remains ﬂat and offers a permanent bond. ULTRA photo mounting adhesive is ideal for mounting posters, wide-format digital prints and photo graphic prints to a wide variety of substrates. The ultra high-tack adhesive is applied to a mounting surface and then the reverse side of a print media.